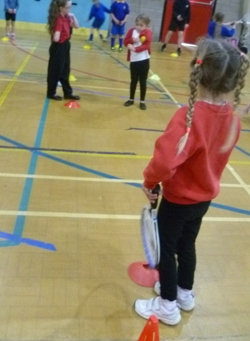 On Wednesday 12th October Class 1 went to a Multi-Skills Festival in Holsworthy arranged by the Sports Leaders of Holsworthy Community College. 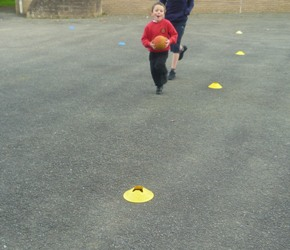 They were joined by 6 other primary schools in the area and took part in 9 different activities. Each group had 10 minutes at each activity before moving on to another station. The children really enjoyed the afternoon and were complimented on their good behaviour.